Long gone are the days in which the dynamic linebacker duo of Brian Urlacher and Lance Briggs swarmed the field. 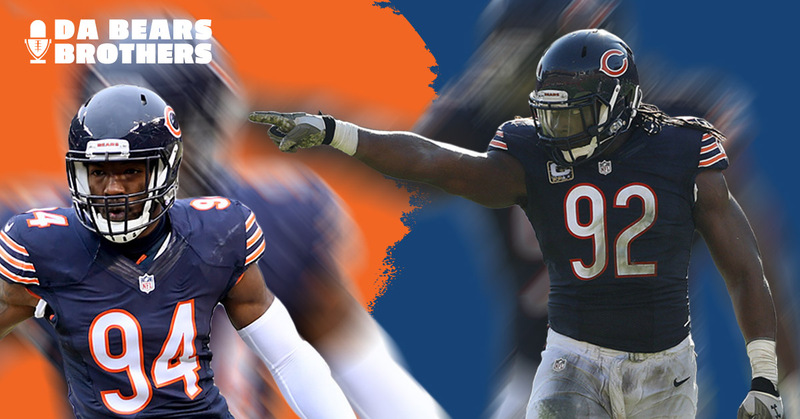 After years of instability at the linebacker position, Chicago seems to have found itself a new duo of emerging monsters in Pernell McPhee and Leonard Floyd. In McPhee’s words, it’s a “violent….violent” Bears team. Chicago Bears General Manager Ryan Pace wisely invested in the linebacker position during his first offseason with the Bears realizing the need was evident. Considering the schematic switch to the 3-4 Vic Fangio defense, Pace targeted the bullish and loud McPhee before eventually signing him to a five-year, $38.75 million contract in 2015. McPhee’s ability to defend the edge put a premium on his availability during free agency. Pace’s investment to a large part has paid dividends. Yet, McPhee has struggled to stay on the field during his first two years in Chicago, missing games in both 2015 and 2016 due to a knee and nagging shoulder injury. Regardless, the presence of McPhee is felt on the field when healthy. Pace elected to further invest in the linebacker position in the first round of the 2016 NFL draft when he paired Georgia edge defender Leonard Floyd with McPhee, trading up to the ninth overall pick. Floyd’s natural ability flashed in his rookie campaign despite being knocked by scouts and NFL personnel for his slim stature. Yet, the far too common story of injuries derailed the linebacker’s campaign. Even more concerning, he suffered two serious concussions in a five-week span. The latter concussion left Floyd dazed and out of football activity for quite some time. Chicago’s coaching staff hopes a few tweaks in his tackling technique will fix his run with head trauma considering both largely occurred as the result of hitting with his head down. Regardless, Floyd quietly put together a seven sack campaign and had his name in the Defensive Rookie of the Year discussion prior to his string of injuries. The long, lean pass rusher displays natural qualities in a 3-4 linebacker and is extremely raw. His athleticism, length and natural football ability put him on the map for a player on the rise. Floyd continues to add to his physical stature by building muscle mass. On the flip, McPhee, 280 pounds, is much more physical at the line considering his size and upper body strength. McPhee’s strong locker room presence both on and off the field led to him being selected as the 2016 winner of the team’s Ed Block Courage Award. His offseason work following an injury riddled season has resulted in a much lighter McPhee, a whole 25 pounds lighter. “It’s going to be dangerous,” McPhee said to reporters this past April at the team’s award ceremony at Maryville Academy in Des Plaines. The combination of McPhee and Floyd makes for a yin and yang relationship in which the polar opposites serve as complimentary pieces to a defensive puzzle desperately needing the pieces to fit. Over the last five weeks of the season last year, Pro Football Focus reported both Floyd and McPhee finished in the top five for highest pass rush productivity. With Danny Trevathan and Jerrell Freeman stuffing the middle, the Bears are hoping the duo of McPhee and Floyd can stay healthy and create pressure in the backfield. McPhee undoubtedly brings the nasty whether it’s in the locker room or in the huddle; Floyd would be wise to continue to feed off that. It’s a duo that is worth keeping an eye on.